The Klipsch R-3800-W II maintains the core technology use of a rigid 1” Aluminum compression driver (tweeter) mated to an exclusive Tractrix Horn combined with a large 8” IMG woofer in a 2-way design. Now with a new low-profile, more elegant grille and refinements to both high frequency and low frequency reproduction, it continues as a high performance choice for everything from 2-channel music playback to full, large room surround sound use. Klipsch horn-loaded technology increases acoustic output while significantly reducing distortion. The horn’s +/- 15° pivoting capability allows its 90° x 60° dispersion pattern to be aimed directly at the main listening area. This feature sends more direct sounds to the listener and less reflected sounds for more detailed sound, wider dynamics and better vocal clarity. Combined with the Tractrix Horn, the one-inch stiff, yet lightweight, metallic diaphragm works in conjunction with a precise phasing plug at the horn throat to create a very efficient driver with excellent transient response and lack of distortion. The new Linear Travel Suspension assures the most precise diaphragm excursion, increasing high frequency detail and smoothness. 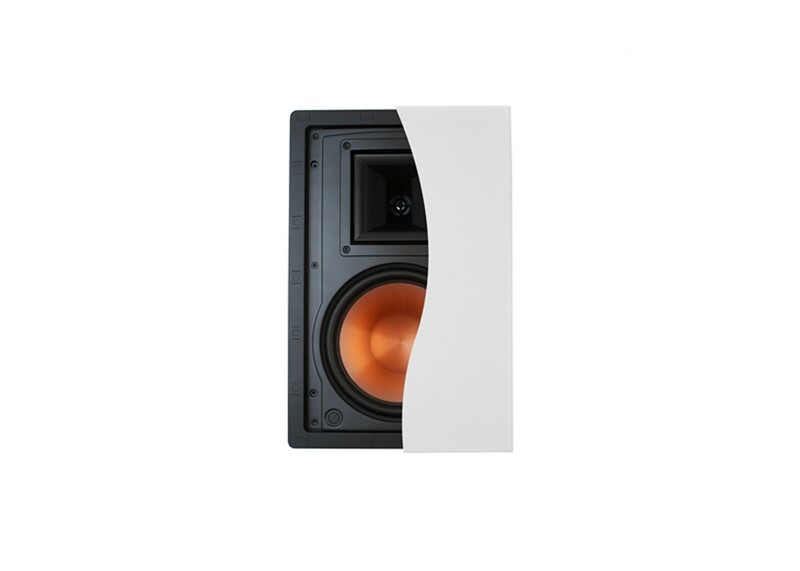 The solid IMG woofer cone has been strengthened for even more accurate bass reproduction. For reduction of high frequency output in challenging install applications such as overly reflective rooms, allowing for a better frequency balance.